I can't even believe we are getting so close to Christmas break! I have 8 days left....8 long days! 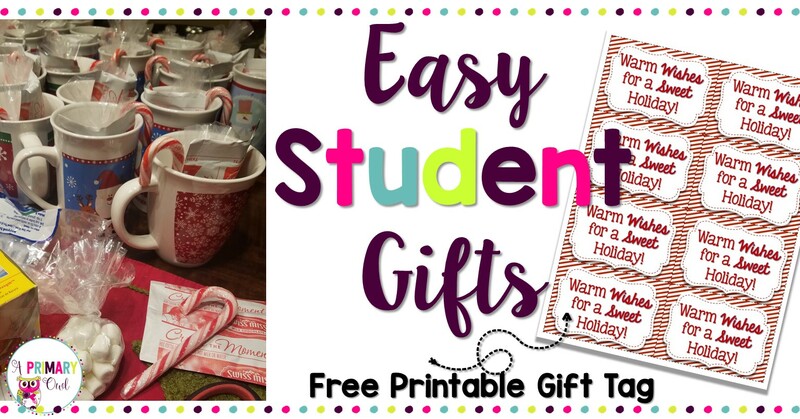 This time of year is so stressful, remembering to buy gifts for friends and family but then also your students. This has been my go-to present for my students for the last few years. My students always love this and it's so quick and easy. 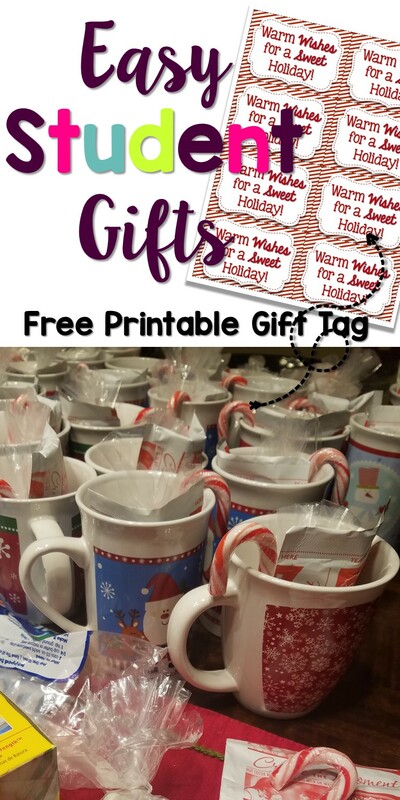 I buy Dollar Store mugs and fill them with hot cocoa packets, candy canes and little baggies of mini marshmallows. I usually put the mugs in clear gift bags and attach a tag. Done. One reason why I like this is because all of my students can receive one, no matter what holiday they celebrate. I can't wait for these next 8 days to zoom by, Christmas break can't get here soon enough. I hope your last few days go by fast too!